We do not give out of guilt or to earn our salvation or to buy favor with God. We give because we have been given to. We give because we recognize that God has blessed us immensely and so we honor him by giving back to him out of our gifts. We give because we trust God and know that he is taking care of us and so we are free to be generous and put our gifts to use in his service. 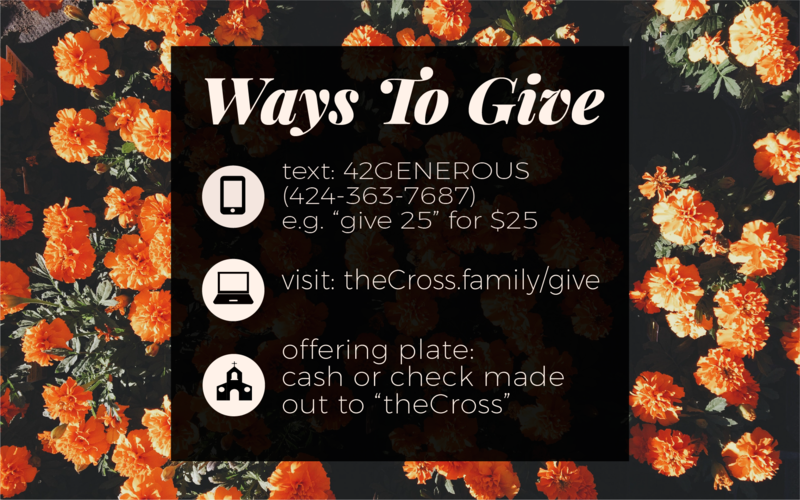 And we give because we know our gifts make an impact on our community, both through supporting the sharing of the Gospel, and meeting the real and tangible needs of those around us.